See a complete list of the best aquariums to visit in PA. Aquariums are fun and educational for the entire family! Find fun aquariums to visit in Pennsylvania. One of the Most Fun Aquariums in PA! A visit to the Pittsburgh Zoo & PPG Aquarium is guaranteed to deliver hours of fun for the whole family! The state-of-the-art PPG Aquarium was completed in 2000. Within the diverse water you will find varieties of penguins, sharks, rays, and other fascinating underwater creatures. View polar bears and penguins up close! You may even get to pet some of the animals. 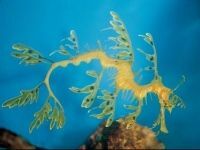 Amongst the large roster of exotic animals on display are the blind cavefish, leafy seadragon, giant pacific octopus, west coast sea nettle, yellow spotted amazon turtle, and pot-belled seahorse.